I know nothing about most occupations but here's how I imagine roller coaster architects work: they draw up dozens of plans for coasters that are never built because the designs are so unruly, almost every rider would get sick. 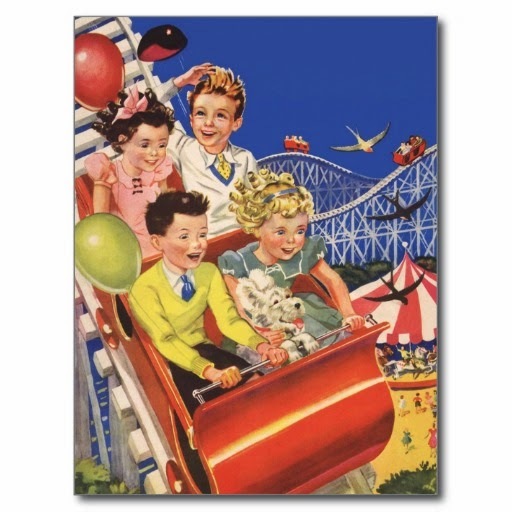 Eventually, the plans are meticulously reigned in and, because of this, these architects surely see their finished coasters as a compromise. I bet they even keep early designs out of sentiment: drawings of rides with grueling turns, nauseating drops, seven...nine...eleven consecutive loops, along with the faces of terrified children sketched into the seats, eyes bulging, mouths agape. The most mischievous designers probably even draw in a little puke. 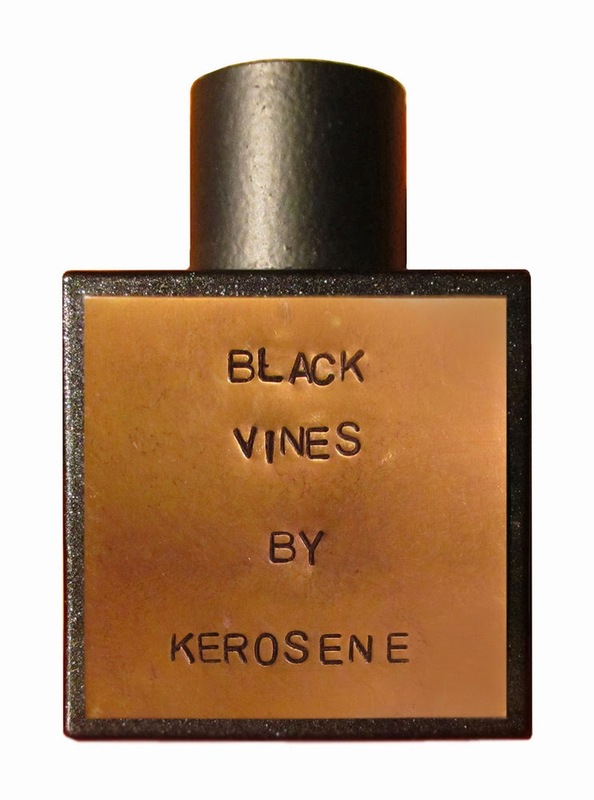 Kerosene Black Vines is the eleven-loop roller coaster of perfume. It's brilliant. And sickening. It's like the perfumer accidentally sent out his first formula, the one he was supposed to keep in his cabinet as an example of what he'd create if this stupid world were a more daring and courageous place. At first, it's impossible to get any sense of Black Vines outside of its licoriceness. It's very, very licorice-y. If you can imagine living in a house that's made entirely of rich black licorice, and the house sits in the middle of the desert where the sun bakes down on the licorice roof and the licorice aroma just hangs heavy in the hot air (apparently the licorice house has no windows...who builds a licorice house in the desert with no windows? ), forcing you to inhale hot licorice until you're tempted to stop breathing altogether, then you can imagine Black Vines. It's a towering monument to licorice. The fragrance eventually softens -- at last, a window! -- though much less and much later than you'd expect. (After fifteen minutes I was so overwhelmed and, frankly, emotional, I wanted to find the perfumer and give him a long, hard hug.) Gradually it turns sweeter, like licorice incense, and lasts for hours on the skin until it starts feeling like a licorice scent tattoo. 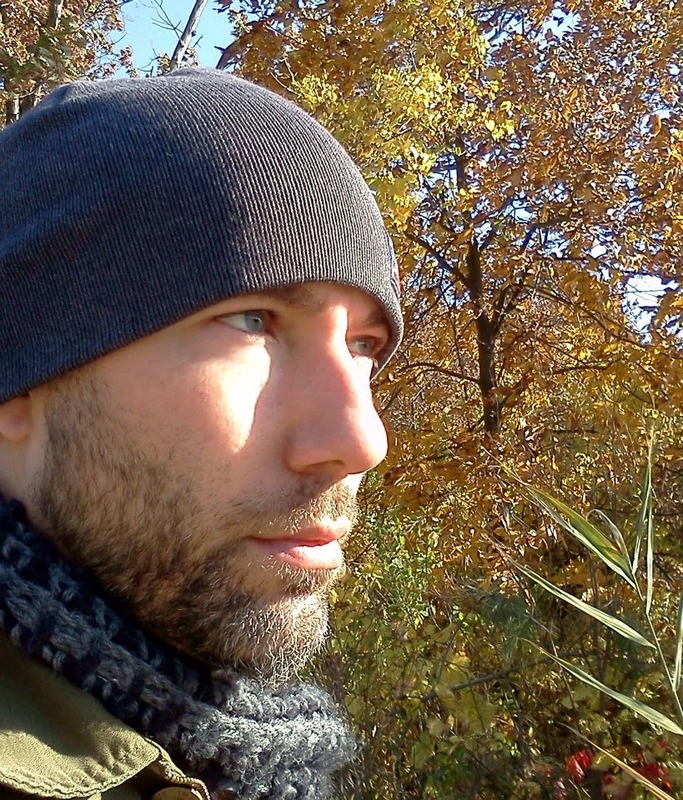 Black Vines creator Kerosene braces himself for a long, hard hug. Black Vines is challenging to wear, especially if you consider the feelings of those around you and recognize that not everyone loves licorice. One spray and, bam, you've oversprayed. Go lightly so only a tiny bit of perfume trickles out and, bam, you've oversprayed again. Just thinking about wearing Black Vines probably constitutes an overspray. Black Vines is great but it doesn't follow the ordinary perfume parameters. It's a cabinet perfume. Because cabinets have strong stomachs, KP, and they don't get sick. I have followed Kerosene for several years including his last YouTube video where he stated that he was signing off and pursuing this fragrance affinity that he has. When he did some of his very first fragrance releases, I watched YouTube video reviews of his product line and a lot of people were very expressive and quite positive about them. Right from the get-go, I did not like them. They are very coarse and unrefined to me. I am only speaking for myself. I like directness but you can be too direct. How can I say this respectfully and with kindness, his colognes do not have that Guerlain, Chanel, Dior richness that I like. They seem to be 2 dimensional and not any depth. Just right in your face and stays there. I love complexity and development of a scent as the day goes on. I feel his scents need more formulation, if that makes any sense. I know he is pursuing this form of Art and I want to wish him nothing but thee absolute best of luck in achieving a world-class fragrance that will thrill the world. Even though his scents are too much for me, it does not diminish his style and form as an artist. Thank you, Kerosene for following your dreams and passions. An Artist is never poor. Throughout the world sounds one long cry from the heart of the Artist: "Give me the chance to do my very best". Oh, how you will delight the Angels!!! Oh Byron, the next time I mess something up in a big way (looks at watch), I want a pep talk from you. My reaction to some of the Kerosene fragrances is similar to yours, but Black Vines is different, if only because I have a big bias for licorice. Whatever weaknesses I perceive in Kerosene's style suddenly become strengths when he's working with licorice, which is my weakness. There is a definite elegance about your blog entries, even though I would necessarily call it "quiet"... Au contraire, it usually makes me cry out loud with laughter because you are hilarious! God MUST have an odd sense of humour, so I bet he can't wait to read YOUR blogs!!! I hope it doesn't look too obvious when I get one of my sisters to say something nice under Katie's next post. I love it when Dan posts stuff, Pen Pal letters or just comments. And no, I'm not as eloquent as Lord Byron, either. Dan has made me obsess over licorice stuff. Fortunately, down the street we have not one, but TWO Italian markets. Everything has either fennel or anise, it rocks. Ms. Bradshaw: I have read your comments for years. They are EXQUISITE!! !~ You and Katie are definitely kindred spirits. Please do not ever stop with your insightful input. It benefits us all. Thank you, dear. Studly Dan: You are AWESOME!!!! !~ Enough said. Stefush! Apologies for the delayed reply. And also for the useless reply, because I haven't smelled either of the fragrances you mention. (Though I will now.) But I suspect they're more complex than Black Vines, which is basically a powerful perfume replication of the scent of licorice. 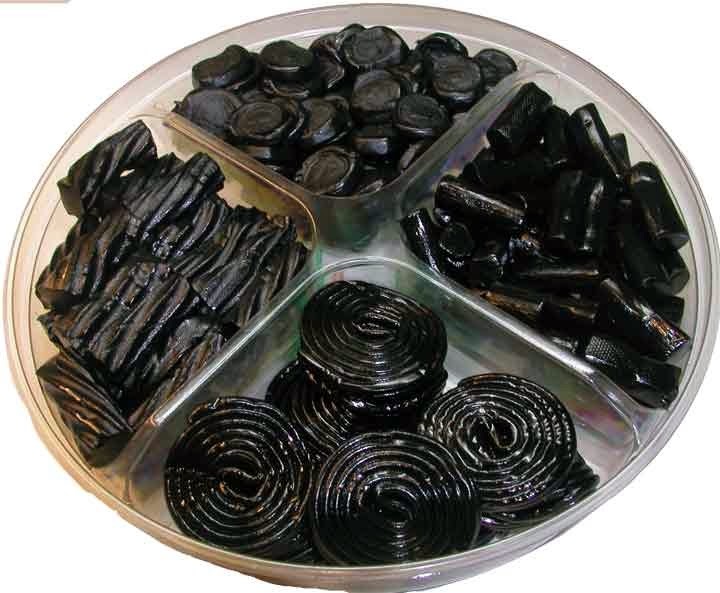 If you don't like licorice, you'll hate it, and if you do like licorice, you might also hate it because, wow, it's just so much licorice. I, on the other hand, love it. And to make things worse, I think his perfumes are extremely developing. Granted they have weird openings. But then they change so much and the development lasts for hours.. I really don't know why I have such a different reaction to them. My favorite is Creature which ends up smelling like the classic green Jacomo Silences on my skin. Help me! Am I smelling dead perfumes? Sometimes I think that I must have some alien nose, too. A lot of people say that Agent Provocateur smells of roses, but mostly what I smell is apricots and suede, which most people don't mention at all. Katie, where are you? Missing your reviews and banter with Dan so much. I do hope all is well.